Don’t want the hassle of accepting checks? With our invoicing system, checks can go the way of the floppy disk. We accept all major credit cards and support payments from 22 different countries. 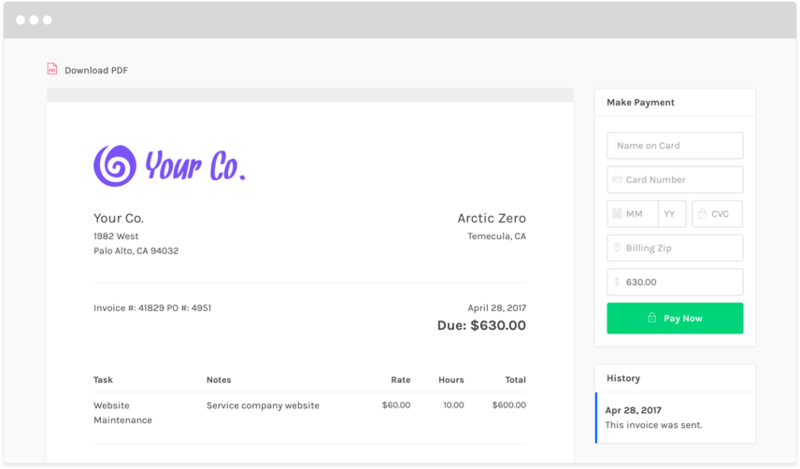 Customers can conveniently pay directly from their invoice with the click of a button. Payments to you will automatically be entered into your accounting records. You may also accept payment through PayPal. Note that ZipBooks charges a 0.5% fee in addition to regular PayPal fees.